My friend Val Galvin makes the most amazing rugs. I figured that one of her braided rugs needed to be in my kindergarten classroom. And I told her that each time I saw one that caught my kindergarten eye. She didn't give me a rug. She did one better. She taught me how to make a braided rug. I wanted a nice soft, comfy rug for sitting on in a quiet, mellow time corner in my kindergarten classroom. Recycled blankets would make a soft inviting rug. There's a special fancy bit to do right at the beginning. I happily let an expert take over. First job was to rip up the blankets and roll them ready to use. And then braid. And braid. And braid. And change colours. And watch it grow. Until it was ready to be laced. (by the father of one of my past students - the joys of small town living! ), and special linen lacing thread. It was almost exciting to see the rug showing its personality. Val would say it is very exciting to see the rug find its personality. And a fine personality it has. It's warm, inviting, gentle, and random with a wee bit of structure. A perfect place to take some time away from the business of a kindergarten classroom. A perfect place to curl up with a book. A perfect place to think and to be. and a couple of kids curled up, making plans for the day. 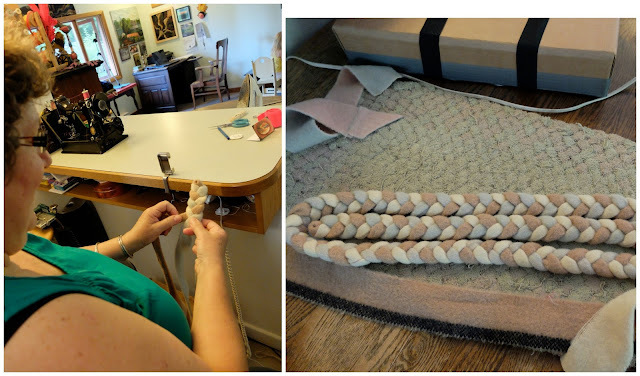 If you can't make it to Vancouver Island for one of Val's courses, and until Val gets tutorials on her Facebook page, Renditions in Rags Hooked and Braided Rugs (and she says she is going to), Sunshine's Creations has a braided rug tutorial. 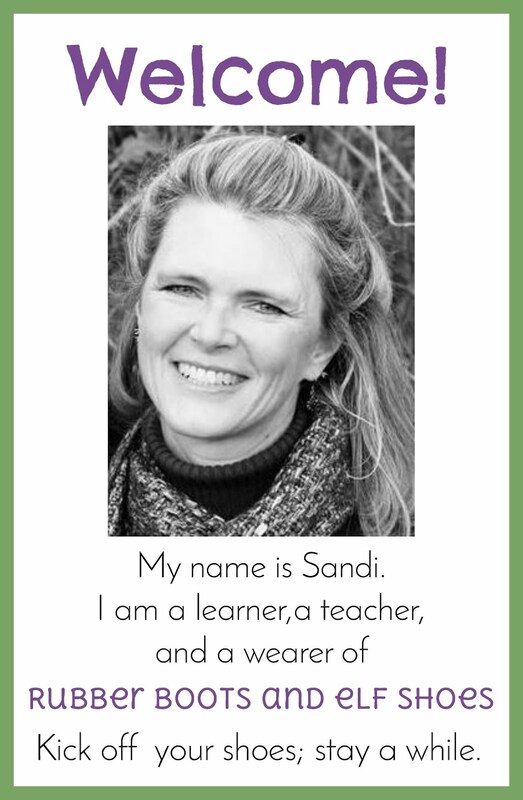 That's absolutely beautiful, Sandi! I love your colour choices. 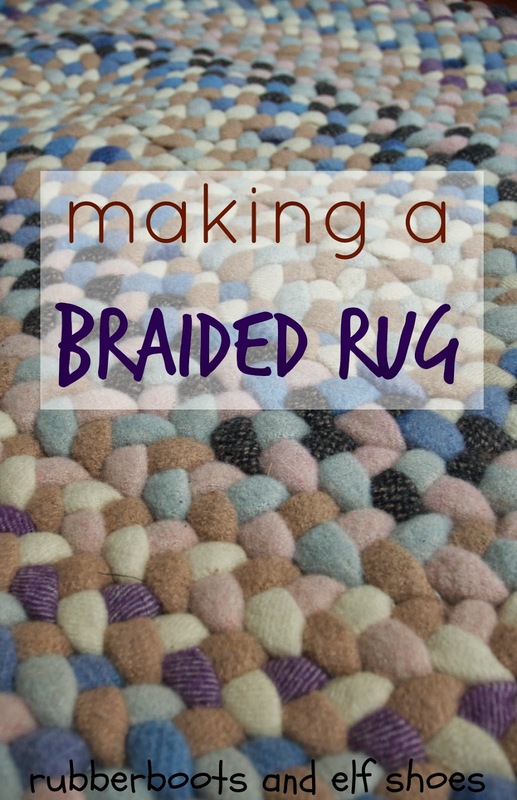 This is an exceptionally pretty braided rug! 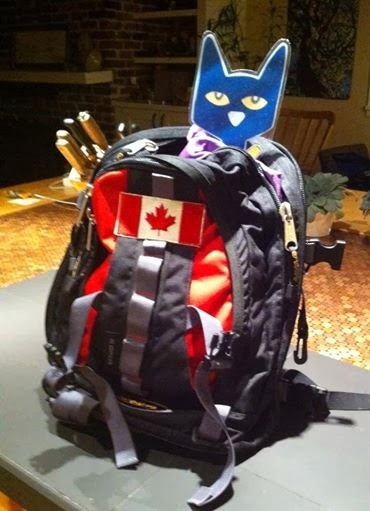 I wish I could take one of Val's courses! Yours is beautiful. I love the colors. 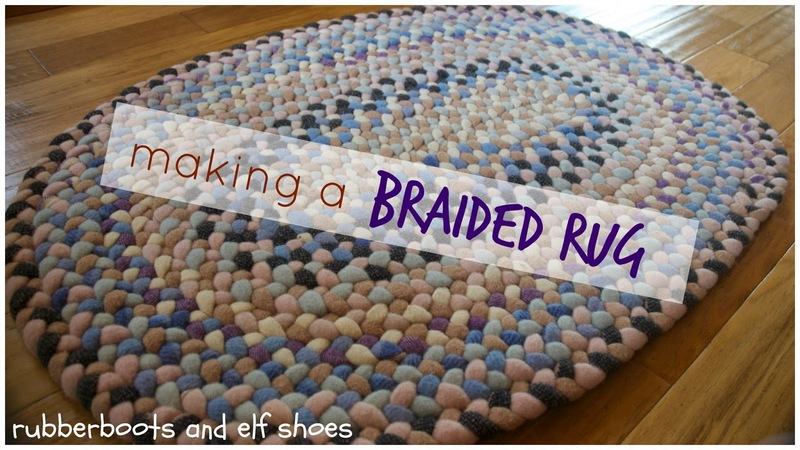 I made some braided chair rugs once and found it so relaxing. I love working with fabric! Thanks for sharing. 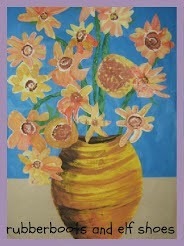 I'd love to take a class! Your rug is beautiful! I hope your Kindergarteners love it. I can just see all of them trying to lay out on it at once! It's so pretty. I really want to try and make one myself using your technique, so do you remember what size strips the blankets were cut in? And do you have any more specific instruction for sewing it together?